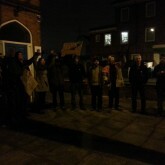 Occupy Protest Camp Outside Mike Freer MP’s Office Evicted by Bailiffs. 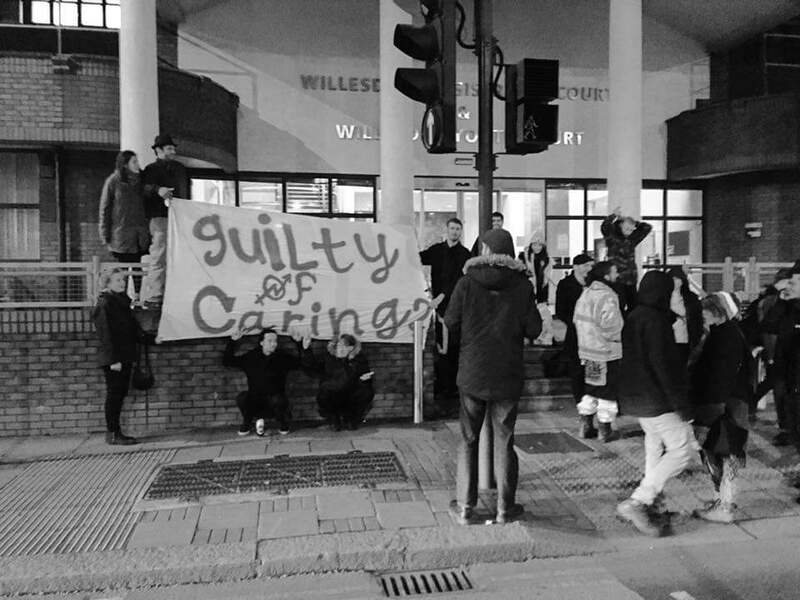 At 6:30am high court bailiffs entered and evicted the Occupy protest camp erected by squatters outside Mike Freer MP’s constituency office, now in it’s sixth day. 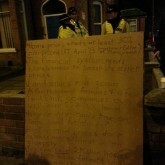 Written notice was delivered on the spot to the protesters as their camp and possessions where dismantled and forcibly removed. 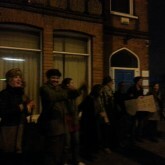 The protesters did not resist and peacefully gathered their belongings across the street. 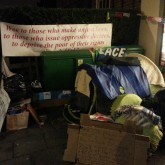 The camp had already gained national media attention and had been supported by local people, campaigners from the Friern Barnet Library, Barnet Alliance for Public Services and Occupy London. 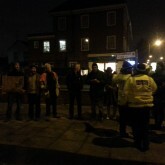 The camp was a protest against section 144 (LASPO) of which Mike Freer MP was a co-archetect. 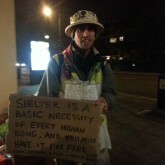 The bill criminalised taking shelter in empty residential buildings. 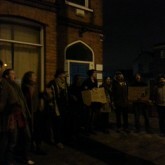 The protest camp was a call for an imeadiate repeal section 144 and a national debate for a more equitable social housing policy. The Occupiers have announced a public assembly tonight [28/11/13] at 7:30pm outside Freer’s office that will “bring democracy to the Tory heartland”. 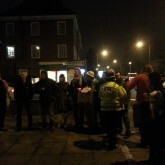 THESE ARE FOOTAGE FROM EACH SECTION OF THE OCCUPY BARNET ASSEMBLY. Rentier Capitalism. Housing benefits which should correctly be called Landlord benefits. Thatcher’s Legacy. 60% of housing benefit recipients are all in work. As all the recipients of Tax Credits. 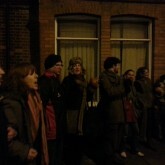 Dangers of Section 144 (Ban on Residential Squatting) and the dangers of a ban on squatting commercial buildings. This will also ban protests by workers. House prices are now £390,000 average. 80% of bank assets is in housing. 60 million acres, with less than 64 million population. Land is owned by a few thousand people. Oligopolistic market. Poll Tax. 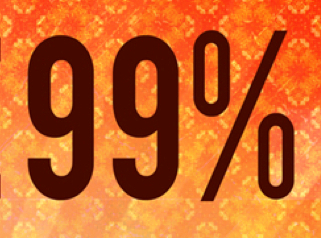 Transferred wealth from the 99% to the 1%. Land owner receive subsidies.Socialism for the rich. not the poor. British Monarchy owns a sixth of the land surface of the world. 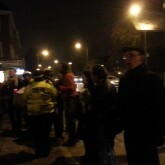 Barnet Resident talking about the Bohemia. 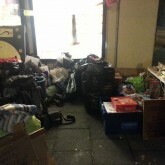 Reasons for having a community centre in Barnet. 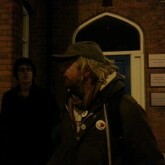 Clive from Economics WG talking about property rights trump human rights. Enclosures of the land reduced the land available to people. Land owners create nothing and contribute nothing. Land should be shared. Bank of England 1694, formalised usury. Lending at interest. This is what is driving land prices sky high. 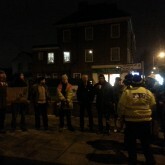 Assembly informed that Evening Standard reporter is watching the livestream. Earthian. We need citizenship of the planet. George Barda. Spectacular inflation in the country. They do not own the house, the banks own the house. Enclosures Act: Most people do not understand that the land was taken away from them, by force. Buy to Let landlords are driving prices up, but more profitable, compared to the seventies, when it took six years, before more money was coming in, rather then going out. Now it takes a year, before more money is coming in, then going out. 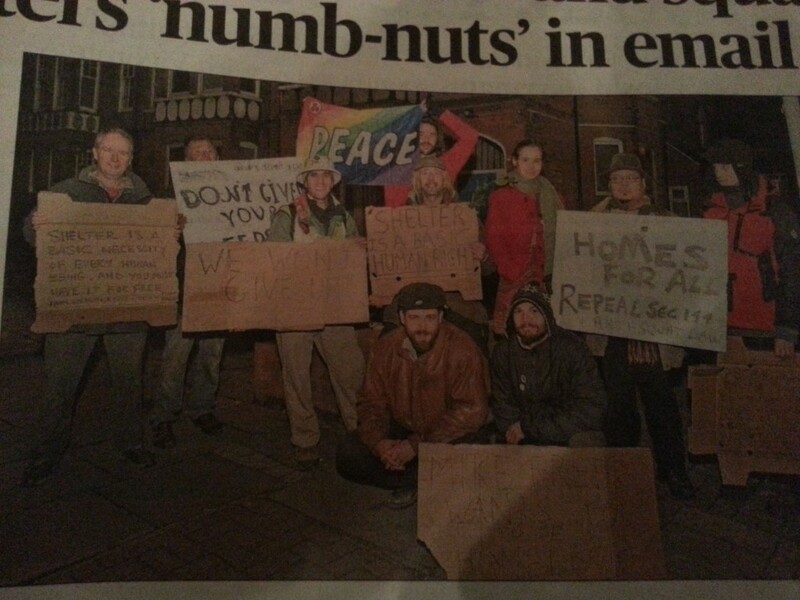 Plus Phoenix with Daftgate via Mike Freer MP. 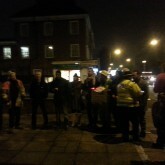 Barnet local person pointed out that two of his friends have been taken away dead from the streets, due to the cold. 31,000 people have died due to fuel poverty and winter deaths. 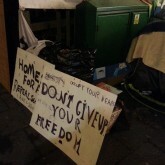 One Third of the Country is owned/squatted by the artistocracy going back to Henry the VIII. Reasons how they got the land. Not just the corporates, but also the aristocracy. Mike Weatherly £140,000 bribery. political campaign funded by property developers, hundreds of thousands of property owned. Barnet resident talking about her experience with having Mike Freer MP not-representing her as a constituent. Freer does not make appearances and fails at turning up for appointments. 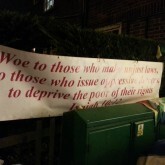 Mordecai, Jewish Scholar, from the Barnet Bohemians talking about Mike Freer MP (also Jewish) not following the teachings of god. Debt Jubilee every fifty years. Phoenix Rainbow on the Housing crisis. 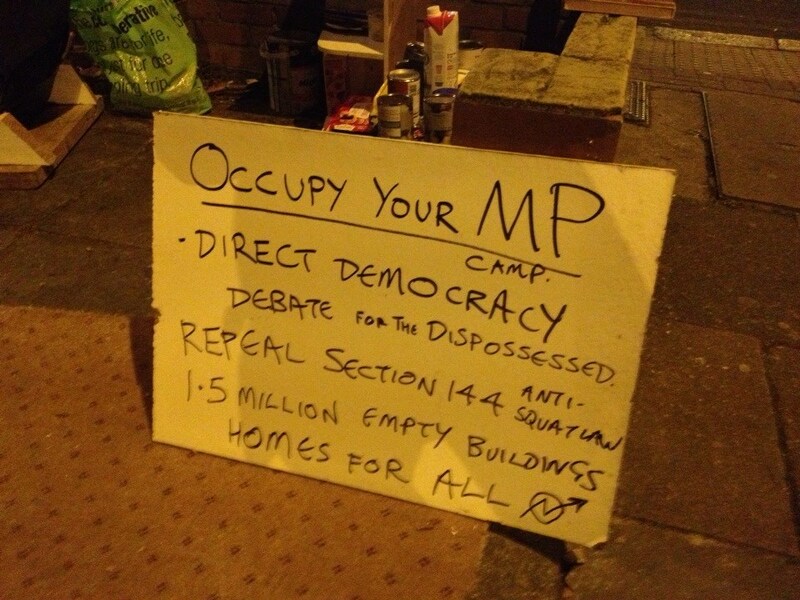 National Call out to Occupy your MP. 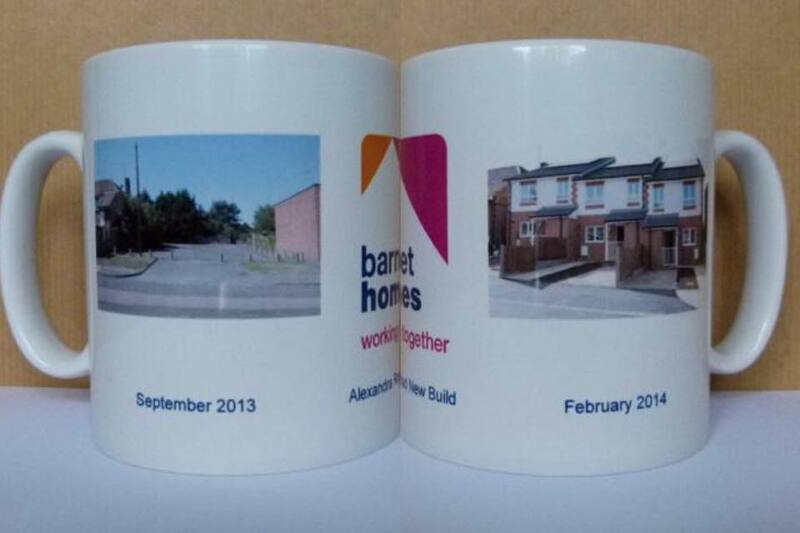 3600 empty houses in Barnet alone. 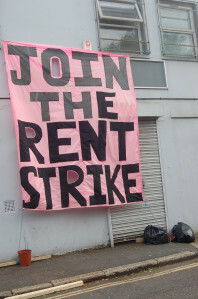 Can squatters, private renters and council tenants unite? 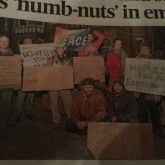 Well done people! With any luck you have started a signature protest against MPs. 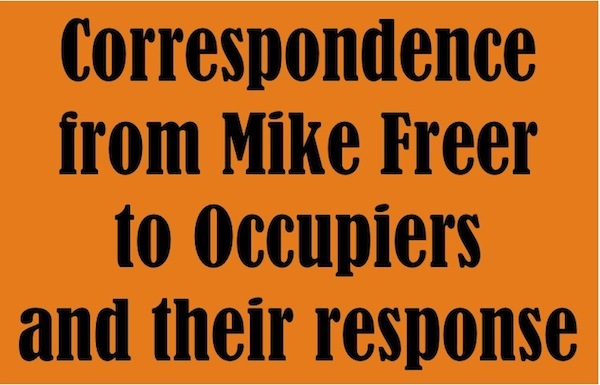 The video informs us that MP MIke Freer lied to the British public about squatters being allowed to squat people’s homes. The world I envision will hold public figures accountable for the lies they tell the public and possibly lose their position as leaders if they do.